A group of birders met for an afternoon outing, birding the west end of Ottawa County as well as Renfrew County. 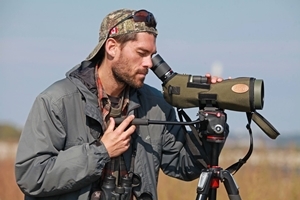 Our search-image was primed for Red-headed Woodpeckers, Snowy Owls, and Great Grays. Excitedly, we observed the entire over-wintering family group of Red-headed Woodpeckers (two adults and one first winter bird). The first winter bird is showcasing its progressive moult. This “teenage stage” appearance is scraggy, including incoming deep red to the head mixed with browns, and so on. A fascinating plumage to behold. After enjoying views of the Red-heads, we moved on to Renfrew County, where we observed Snowy Owls and Snow Buntings, among others. After 2 hours of driving backroads, we came up short with regards to Great Grays, but we certainly looked carefully, so, no regrets! A highly-omnivorous, fly-catching woodpecker with a flashy red head; what’s not to like? The Red-headed Woodpecker is one of only four species of woodpecker that commonly store food, and the only woodpecker known to cover stored food with pieces of wood or bark. They may sometimes overwinter well north of their core wintering range (Midwest USA) whenever an abundance of hard mast (acorns and beechnuts, for example) is encountered. 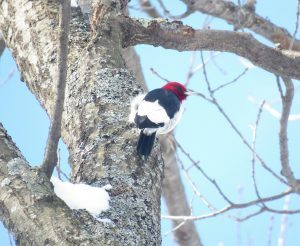 Currently, three Red-headed Woodpeckers (two adults and one first winter bird) are overwintering at a traditional breeding site in Constance Bay, Ontario; Bruce Di Labio was the finder. The area has many oak and beech trees, as well as tall dead-standing trees with snags for perching. The under-story is mostly clear, just to this species’ liking. Directions: Park along Ritchie Street, just off Bayview, in Constance Bay. Walk along a small side trail just off of Ritchie; you’ll see the trail is well-used. Stop and listen often. Scan the forest with your naked eye. It took me 40 min to locate the adult today, so, patience could be required. Good luck! 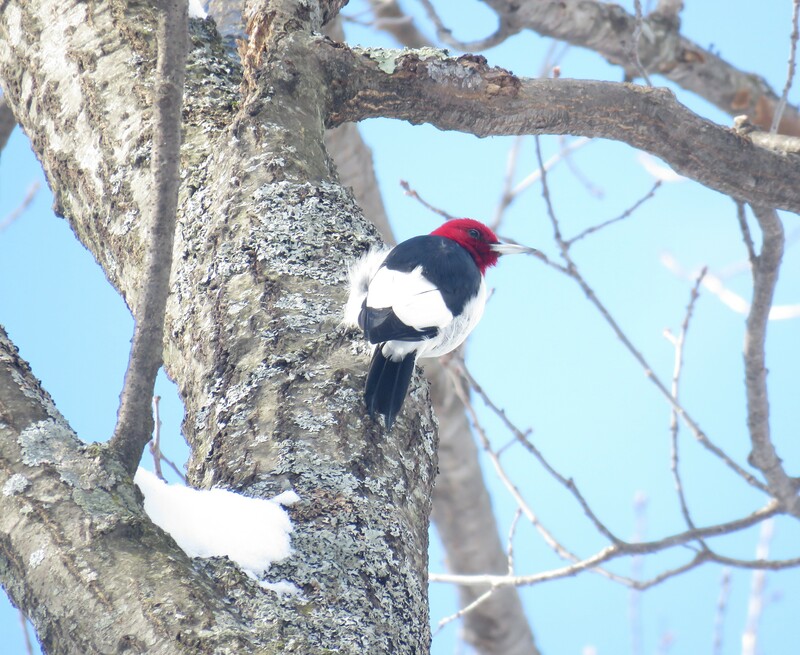 Photo: Red-headed Woodpecker, adult. Constance Bay, Ottawa-Carleton County, Ontario. 12 February 2018.